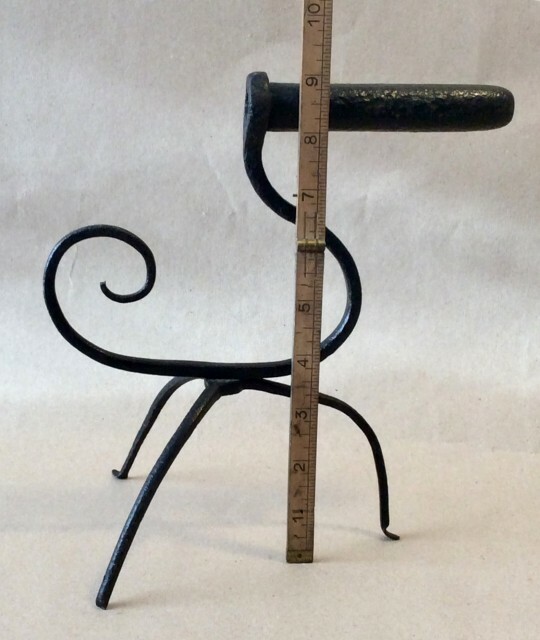 Antique Monkeys tail wrought iron goffering iron on tripod base. 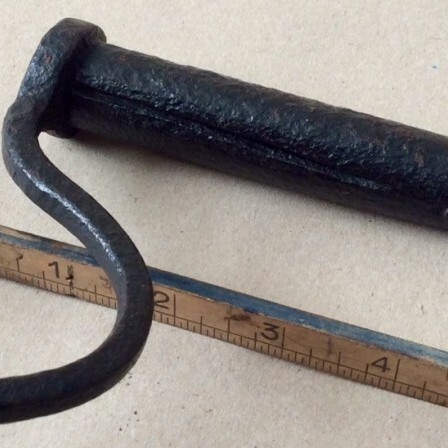 Georgian antique wrought iron ‘monkeys tail’ goffering iron. 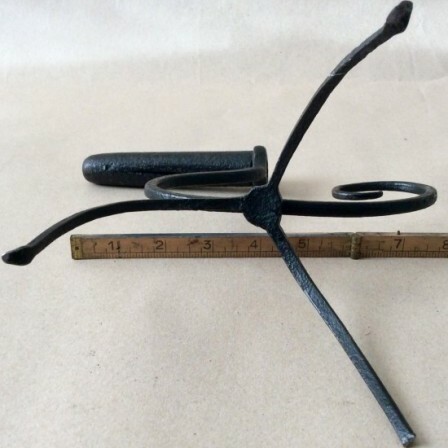 Description: Wrought iron goffering iron with good original patina. The wrought iron tripod base attached with one rivet. One splay foot missing. The handle a nice curved monkeys tail. Dimensions: 9in high,8.5in max wide.